CDC Oil There is 1 product. The CDC oil is used as a protecting “barrier” cream. A drop on the body of your flies will protect them from fish slime. 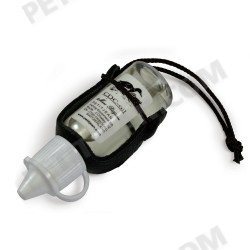 The oil comes in a small bottle which can be attached to your vest.